It all starts with an onion. A unpeeled onion. 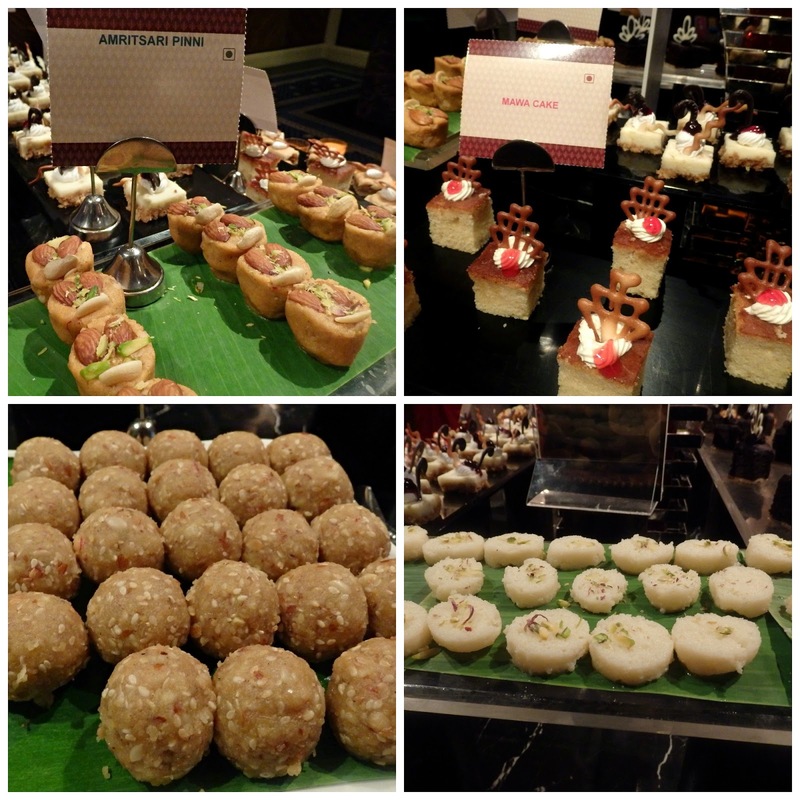 The Residency at Sheraton Park Towers is the venue of Punjabi Khana da Jashn. Invited to review the dinner only festival, I was a trifle disappointed with the decor - three mud pots covered with pink net placed at the entrance to the restaurant. And the music, by a duo, while pleasant and enjoyable, was definitely not Punjabi. Chef Rajdeep Kapoor, executive chef of Sheraton New Delhi, is a good raconteur. And a fantastic chef. Passionate about the cuisine of his native Punjab, he tells us how food is cooked according to the seasons. For example, gajrela (carrot halwa) is always made with red carrots, also called Delhi carrots, that are available only in winter, so it is essentially a winter dish. As is sarson ka saag (a dish made with mustard leaves). Nowadays, spinach comes in cans so it can be made any time of the year. It was when I asked him if salads were on the Punjabi table, that he told me about the onion!! The concept of sanjha chulha is quite interesting. Women make atta ( wholewheat flatbread dough) at home and bring it to the community oven to cook as they do not have ovens at home. Thus, it was a time to bond with friends and neighbours and over time, evolved into a social ritual. Punjabi food is robust and not really fine dining. The food Chef Rajdeep cooks is exactly how his mother would cook at home. For him, eggplant has to be roasted over a gas flame and not in the oven. The starters were served at the table. Tandoori lamb ribs, beautifully marinated and cooked to perfection, were tender, so also the murgh pakoda. The paneer tikka had nothing to say for itself but the green pea tikka was delicious. If you're a vegetarian, pile your plate up high because almost everything is delectable. Sohare wali daal - black lentils cooked with dates, was creamy and not as sweet as I expected, the vibrantly green laisooni palak was outstanding and tasted just like mum would have made it. There were a variety of Indian breads but we decided to try the soft makki ki roti (corn flatbread). What an incredible combination. And once again, the paneer was disappointing, dry and lacking in flavour. Another winner was the shahi baingan. I loved its smoky flavour but I think the green peas detracted from its smoothness. And whatever you do, don't forget to have the dahi bhalla. Quite like curd vada, the curd in this is sweeter, as we were warned. The non veg section had kadai cooked bekti, with a base of perfectly cooked onion and tomato, makkhan wala kukkad - the placard simply read "the most famous butter chicken" [sic] and fork-tender lamb shanks. Every one of these flavours was different and I particularly liked the clever use of spices that allowed the taste of the meat and fish to come through. As for rice, there was a delicately flavoured vegetable pulao, a mildly spiced chicken drumstick biryani and plain rice. They paired well with every one of the gravies we tried. There was also a fig and ginger halwa. It was exceptionally good and I could have had a bowlful of this. Not at all oily but smooth with little bursts of crunchy fig seeds. The courteous service staff wouldn't let us leave until we had tried three glasses of lassi (a blended yoghurt drink). Lassi, apparently, is always had before sunset. We were told to drink up so we'd have a good night's sleep. 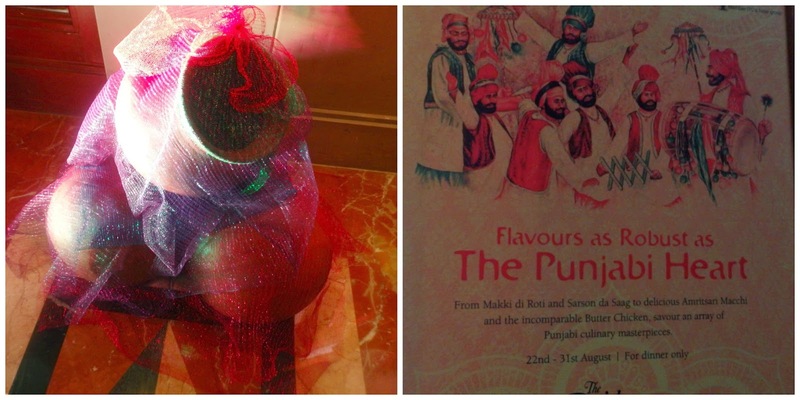 The Punjabi Khana da Jashn festival is on only till August 31st and is priced at 1350/++ per head.